"In memory of P/C John c Kilgore, the family of Rock and Dot Rogel from Sarasota, FL have made a donation to North Coast Sail and Power Squadron, USPS. We at NCO will miss John but have many great memories of your mom and dad and their sailing vessel. Cdr Elect Harry Barnes"
"My sympathies to the Kilgore family during this difficult time. 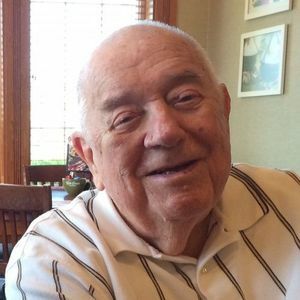 Mr. Kilgore was the kindest neighbor and certainly a dedicated Father of three energetic boys that will forever remain part of my childhood memories." "That smile and twinkly eyes say it all. Jack was loved by so many, and we're feeling blessed he was in our lives, too. Chris and Nancy Hines"
"I was fortunate to call Jack a friend for over 30 years. He always had great stories to tell, and was a sounding board for my ideas. He will be sorely missed. My condolences to the family." "Jack will be missed especially at all the family gatherings. He added joy to the holidays. Our sympathies to the Kilgore family on their loss. Their loss will be heavens gain. "Thinking of you all as you celebrate Jack's remarkable life. He was such a kind, positive and loving person."